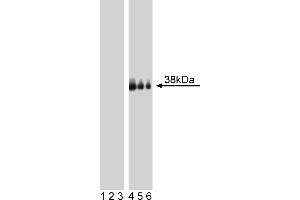 Western blot analysis of LAT (pY226) in human T lymphocytes. 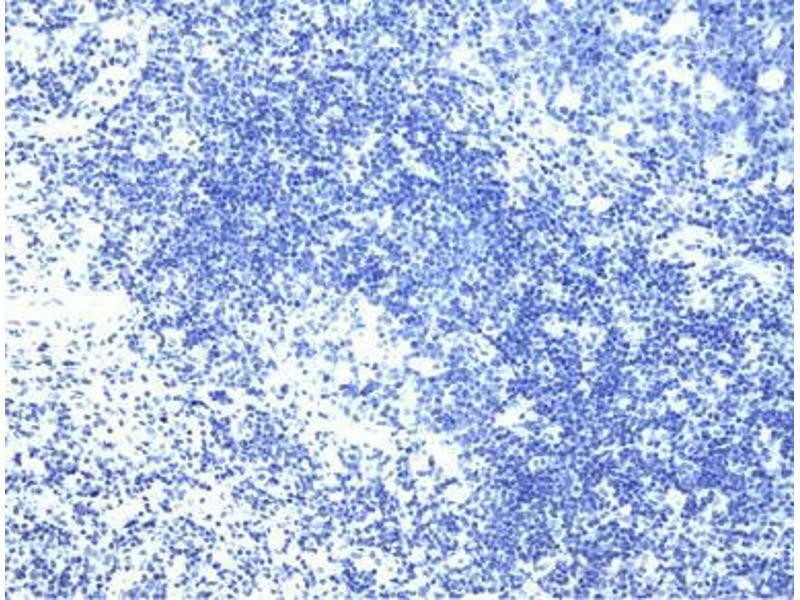 Lysates from control (lanes 1-3) and activated (anti-CD3, plus anti-CD28, lanes 4-6) Jurkat T-cell leukemia were probed with purified mAb J96-1238.58.93 at concentrations of 1.0 (lanes 1 and 4), 0.5 (lanes 2 and 5), and 0.025 µg/ml (lanes 3 and 6). 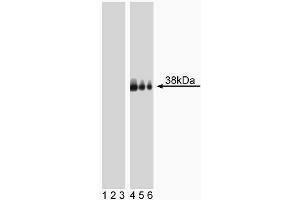 LAT (pY226) is identified as a band of 38 kDa in the treated cells. LAT (pY226) staining on tonsil. Fresh human tonsil was incubated in 5 mM Pervanadate solution for 2 hours, then fixed in formalin and processed. Following antigen retrieval with BD Retrievagen A buffer, the sections were either left untreated (First Panel) or treated with a phosphatase to eliminate all phosphorylation (Second Panel). 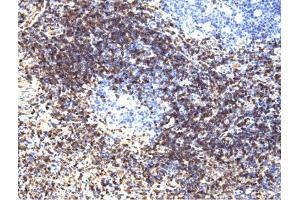 The tissue sections were stained with purified Mouse anti-LAT (pY226) with Hematoxylin counterstaining. Original magnification: 20X. Background Engagement of the T cell receptor (TCR) induces signal transduction pathways that enhance gene transcription and cellular proliferation and differentiation. 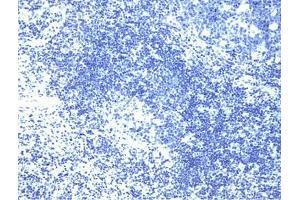 TCR ligation results in the recruitment and activation of multiple protein tyrosine kinases (PTKs), including lck, fyn, and ZAP70. Adaptor proteins, such as Grb2 and SLP-76, relay the signal to downstream effector molecules. 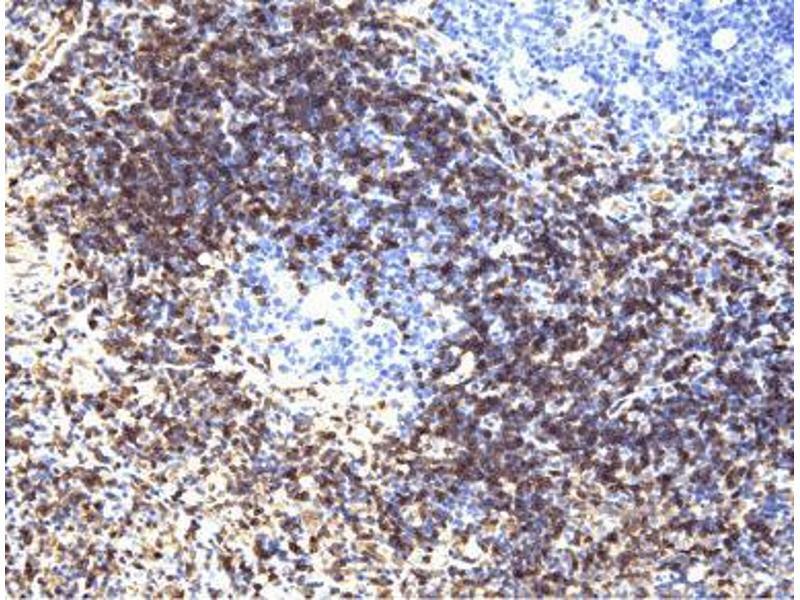 LAT (linker for activation of T cells) is a substrate of the activated ZAP70 and functions to bridge the activated TCR and its associated PTKs with tyrosine kinase substrates. 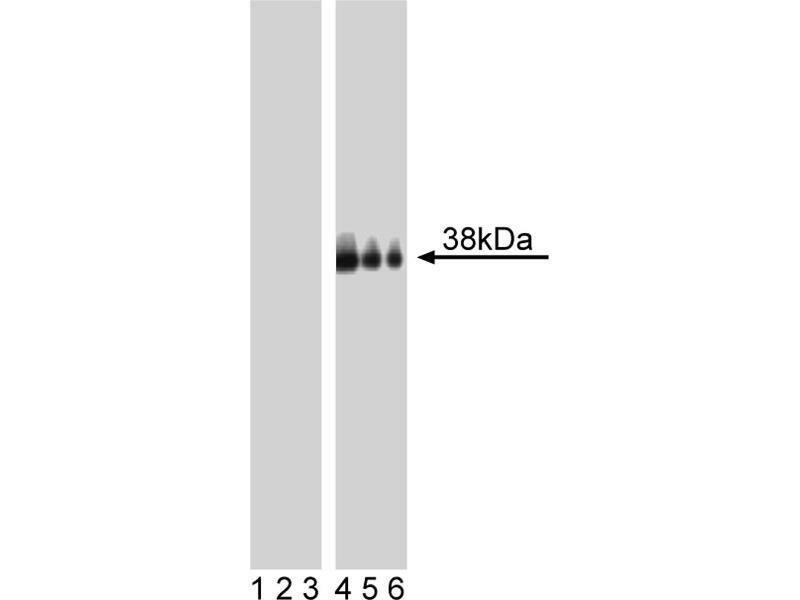 LAT is expressed as 36- and 38-kDa forms that result from post-translational modification, and as a 42-kDa form that results from alternative splicing. LAT is an integral membrane protein that is phosphorylated at five tyrosine sites upon TCR ligation. Following phosphorylation, LAT binds a number of important signaling molecules, including Grb2, Vav, PLCgamma1, and the p85 subunit of PI3K. Multiple studies have shown that functional LAT is required for T lymphocyte activation and thymocyte development. 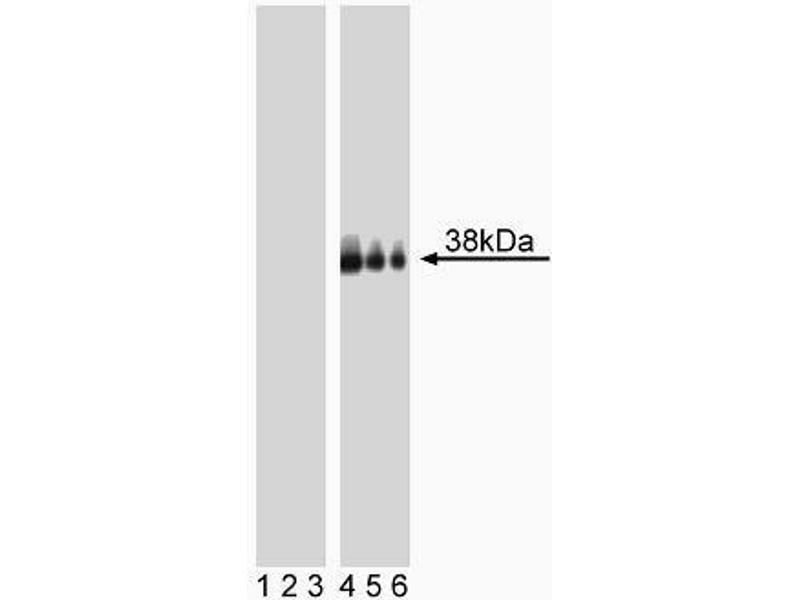 The J96-1238.58.93 monoclonal antibody recognizes the phosphorylated tyrosine 226 (pY226) of LAT, which is one of the phosphotyrosine sites required for binding Vav, Grb2, and Gads.